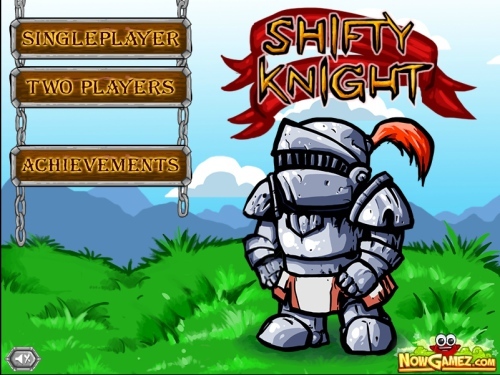 Description Shifty Knight is a fun game to play. In this game you control a Knight on a small field. Your goal is to collect bonuses. Each bonus increases your score and adds a new enemy on the field. This Knight has no weapons but he can eleminate the enemy with a range of special bonuses. Try to get rid of the enemy and increase your score as well. The main goal of this game is to survive at any cost. The game features a system of ranking, statistics and a two-player game mode. Have fun. Controls Use WASD or arrow keys to move. Use both when you play with two.